The Twilight series is to get a brand new instalment in June. 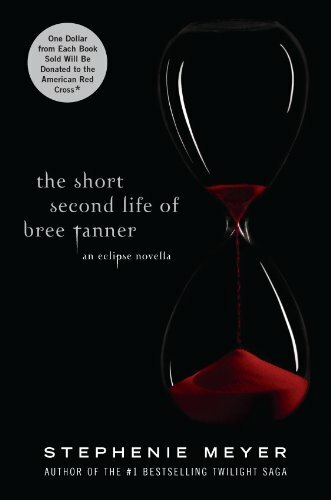 It has been revealed that Stephenie Meyer’s new Twilight novella, “The Short Second Life of Bree Tanner” is an additional story set around ‘Eclipse’, the third book (and soon the third movie) in the Twilight Saga. The 192 page Twilight novella is due for release on the 5th of June and will take on the tale of Bree, a newborn vampire from Twilight: Eclipse. While the series is complete in novel form with Breaking Dawn, the fourth part of the saga, there is still speculation as to whether there will ever be a Twilight Book 5. Judging from the current popularity of Twilight and the sheer demand for a fifth Twilight book, there is a slim possibility that it will happen. Of course, there is also the ‘alternate’ version of Twilight, namely Midnight Sun, which is still incomplete. That book was leaked online in a half-done form, and Meyer decided not to complete it. ‘Midnight Sun’ tells the story of the first Twilight book from the perspective of Edward Cullen rather than Bella, and is actually online for fans to check out. Will that book’s completion be Meyer’s next project?